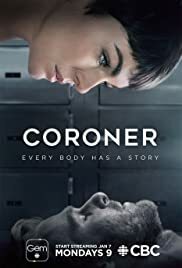 After the death of her husband, Former Family Lawyer Jenny Cooper and her son are having to start their lives again, Jenny becomes the next new Coronor. Her first investigation brings her together with Det. Donovan McAvoy, to the youth detention centre where two teenagers have tragically died. But the investigation brings Jenny and Det McAvoy to a final conclusion on what is really happening with in the walls of the detention centre. This was a great start to the series and I found the emotions of Jenny very real, but nothing can stand in her way to get to the truth. I especially liked how she handled the M.E. with his autopsy results on the teenagers. Can’t wait to watch next weeks episode. 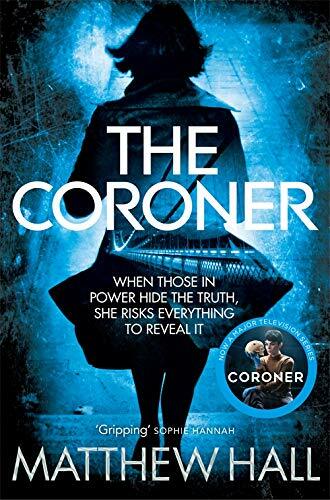 The Coroner is the first gripping installment in Matthew Hall’s twice CWA Gold Dagger nominated Coroner Jenny Cooper series, from the creator of BBC One’s Keeping Faith. When those in power hide the truth, she risks everything to reveal it. When lawyer, Jenny Cooper, is appointed Severn Vale District Coroner, she’s hoping for a quiet life and space to recover from a traumatic divorce, but the office she inherits from the recently deceased Harry Marshall contains neglected files hiding dark secrets and a trail of buried evidence. Could the tragic death in custody of a young boy be linked to the apparent suicide of a teenage prostitute and the fate of Marshall himself? Jenny’s curiosity is aroused. Why was Marshall behaving so strangely before he died? What injustice was he planning to uncover? And what caused his abrupt change of heart? In the face of powerful and sinister forces determined to keep both the truth hidden and the troublesome coroner in check, Jenny embarks on a lonely and dangerous one-woman crusade for justice which threatens not only her career but also her sanity. The Coroner is followed by the second book in the Coroner Jenny Cooper series, The Disappeared.